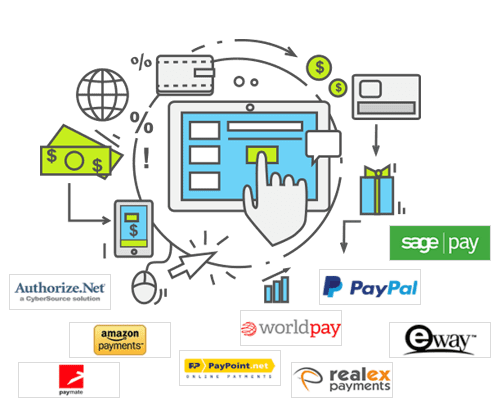 OpenCart offers a vast choice of Payment gateways meaning that you are not tied in to just one or two giving you no flexibility in choosing what is right for you. OpenCart payment gateways come as additional modules but there are lots already built in to the OpenCart system ready to be activated and set-up with your payment gateways credentials. With any ecommerce website we would always advice a choice of two gateways for two reasons. Some visitors may not wish t use the one you have decided on for reasons only known to themselves and secondly if there is an issue at anytime with the payment providers website then your visitor has a second choice with less chance of you loosing the potential customer. Do you need help with setting up a payment provider suitable for OpenCart?